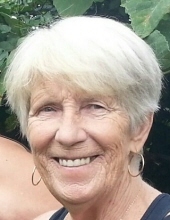 Mary Cunningham Hogan, 71, of Mt. Carmel, PA passed away Wednesday February 6, 2019 at her home. She was a double Gemini and an Rh- baby born on June 12, 1947 in Mt. Kisco, NY. She was the daughter of the late Joseph and Genevieve (Maroney) Cunningham of North Salem, NY. Her paternal grandparents, Mary and Edward Cunningham, came from County Sligo, Ireland. Mary was orphaned at age 18. She is preceded in death by two sisters: Patricia Cunningham and Shirley Pitkat. One brother: Joseph Cunningham, Jr. A nephew: Robert Pitkat, Jr. A niece: Genevieve Pitkat Murphy. She held a Ph.D. having attended Brewster High School, Western Connecticut State University, New York University, University of Delaware, University of Maine, and American International University. She was a teacher at Westchester Community College, NY and Luzerne County Community College, PA and other schools in Maine, New York City, Delaware, and Philadelphia. She had been the Director of the ASAP Homeless Shelter and co-founder of the AIDS network in St. Petersburg, FL. Mary also worked as a counselor in Domestic Violence and Hospice. Dr. Hogan was a published author and workshop presenter on Homelessness; Death & Dying, Adult Education, and Women’s Issues. She corresponded with Dr. Mary Daly. She travelled a great deal and loved Down East Maine, Puerto Rico, and Ireland the most. Mary was an avid scuba diver and co-owner of Down East Scuba. She was baptized in St. Lawrence O’Toole RC Church and was a Third Order Franciscan. She was an Attendee at the Religious Society of Friends, Quakers, in Wilmington, DE, St. Petersburg, FL, and Millville, PA.
She is survived by her companion for over 35 years: Elva Brigid Martinez of Mt. Carmel, PA. Niece: Catherine Mary Bargh. Nephew: Joseph Pitkat. Cousins: Patricia Carroll and William Krom, many great nieces and nephews and her lifelong friend Robert P. Hogan. Service and Interment will be at All Saints Cemetery, Wilmington, DE at the convenience of the family. Mary had asked that in her memory donations be made in her name to the Millville Friends (Quakers) Meeting at Millville Monthly Meeting, PO Box 536, Millville, PA 17846. Rothermel-Heizenroth Funeral Services, Mt. Carmel is in charge of the arrangements. Charles Heizenroth III, F.D. Ashley D’Andrea, Supervisor. To send flowers or a remembrance gift to the family of Mary C. Hogan, please visit our Tribute Store. "Email Address" would like to share the life celebration of Mary C. Hogan. Click on the "link" to go to share a favorite memory or leave a condolence message for the family.